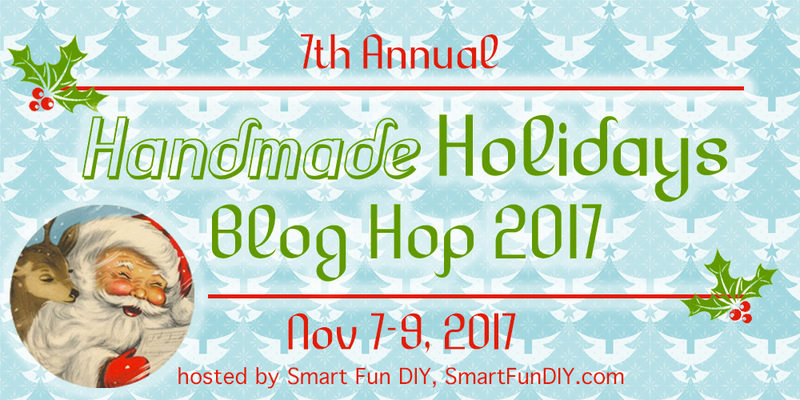 Welcome to the second day of the Handmade Holidays Blog Hop! In case you missed it, here’s the first day which was handmade gifts. Today is all about decorations. Handmade Christmas decorations and I made some paper dove ornaments. 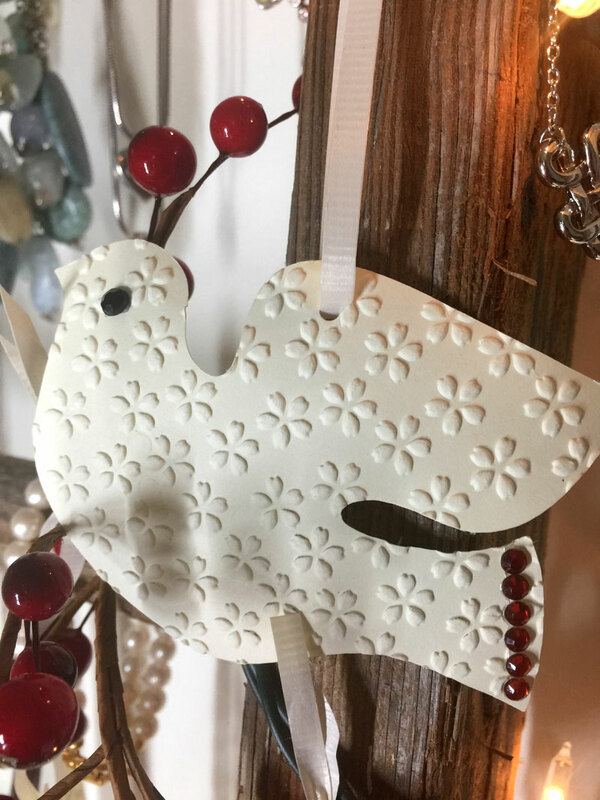 These paper dove ornaments were very easy and fast to make. Fast and easy is my kind of Christmas craft. 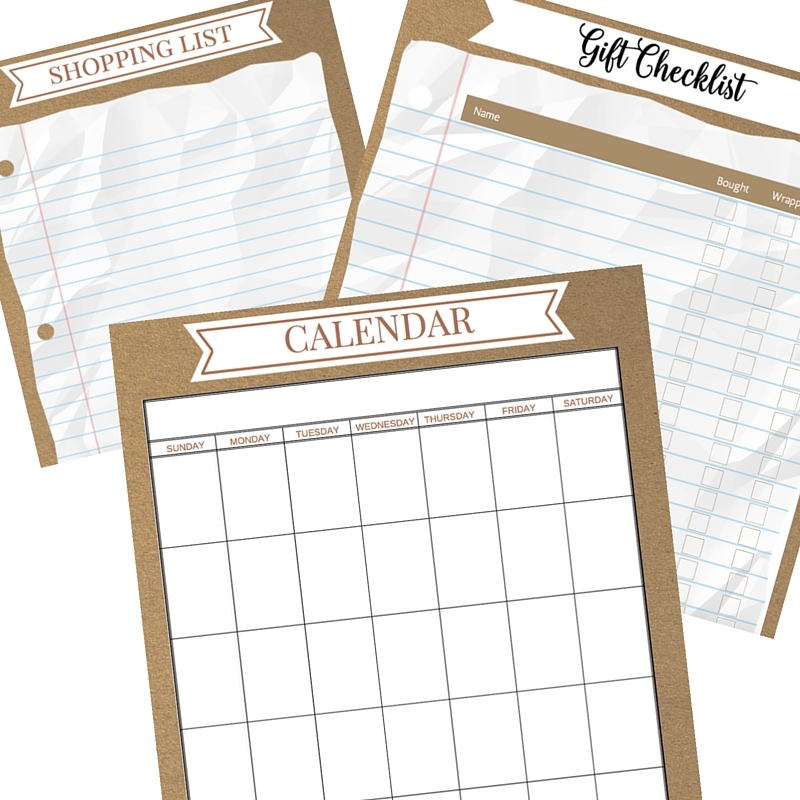 Let’s face it: we’re all busy with a to-do list a mile long, right? 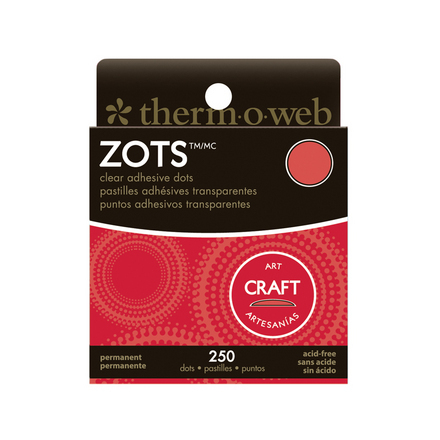 The materials list is short for these paper ornaments. You guessed it. You’ll need paper. I used a cream colored card stock . And yes, that’s a Cricut mat under that paper. 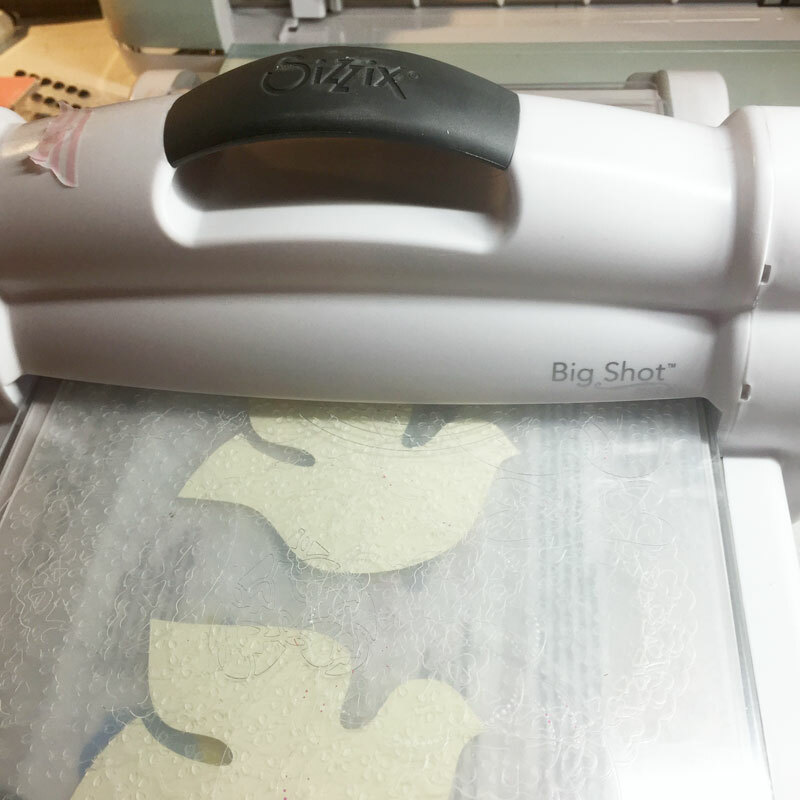 I went the fast and easy route and cut out my doves with my Cricut Explore Air 2. You can use whatever cutting machine you have. 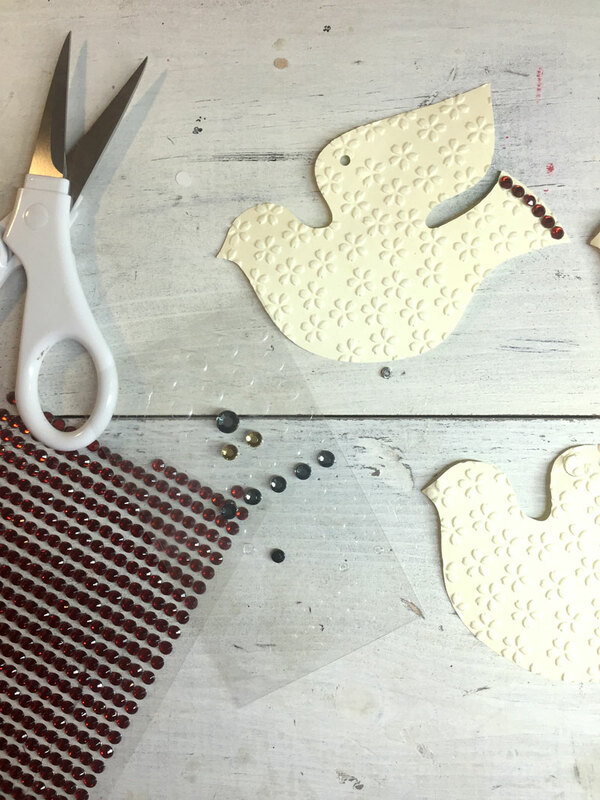 If you don’t have an electronic cutter yet, then you can go here, download a free dove shape, print it and cut it to use as a template. I didn’t want just plain paper doves. I wanted to jazz them up a bit so I ran the dove shapes through my Big Shot in an embossing folder . 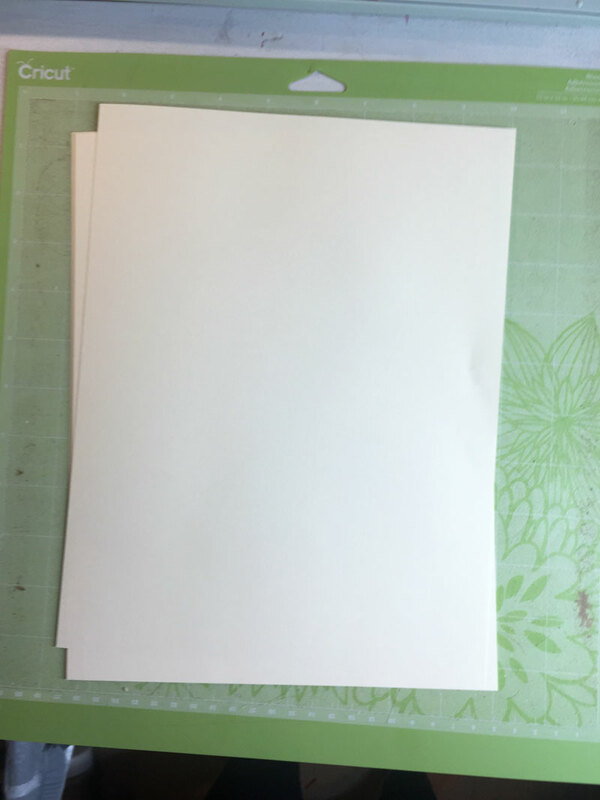 An alternative would be to use textured card stock. To doll up the doves even more, I added some bling in the form of rhinestone stickers . I used inexpensive red rhinestone stickers on the tail and a blue one for the eye. A small hole was punched in the top so I could add a ribbon for hanging. And that’s it! That’s all there is to it. I told you it was fast and easy! Fast and easy but really pretty! I like how these look on the vintage ladder in my bedroom. I think I’ll make more and keep them there. I also love how they look with the red berries. Don’t forget to enter our giveaway below! Beautiful ornament! I love the embossing and the touch of bling. 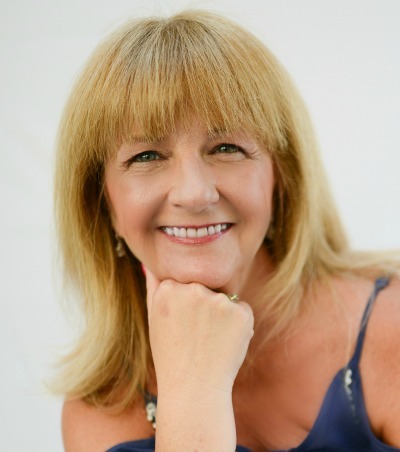 Dana Tatar recently posted…Handmade Holidays Blog Hop! Very pretty! Would be cute as gift tags as well. Visiting from Handmade Holidays. This simple ornament is just my style. I love it! Your ornaments and decorations are so lovely! The rose tree is stunning! Very pretty–I like the embossing on the dove. I love these cute little doves. The embossing really elevates them from plain to beautiful. 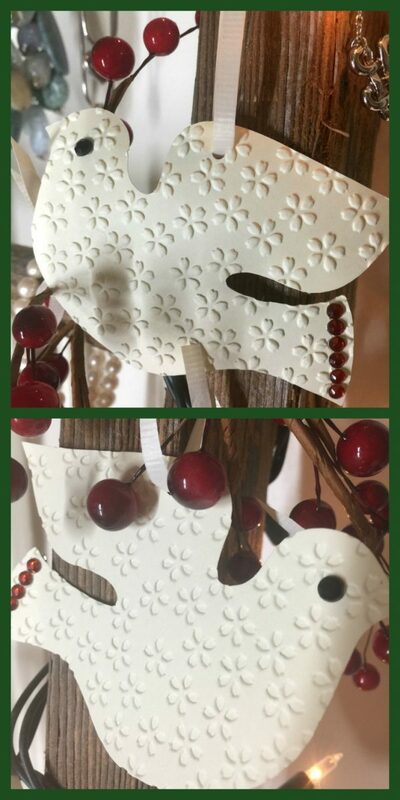 What a simple and beautiful ornament! 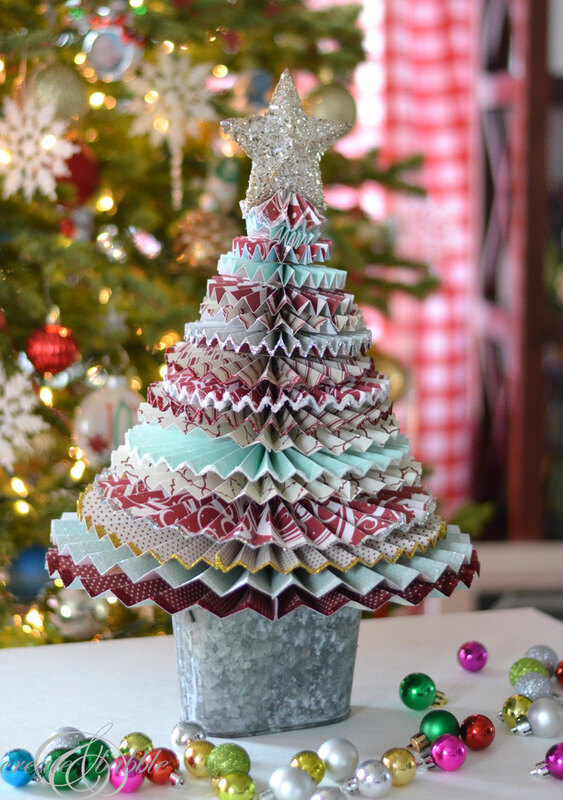 I like the Christmas tree made of paper. 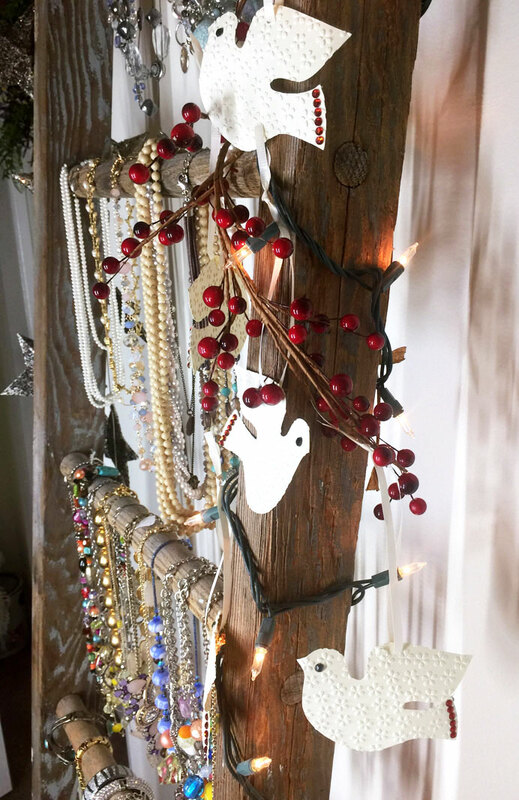 It is a nice idea for Christmas crafting with kids. Merry Christmas! I’m going to make some of these next year and put them on cards.